MARQUE , the most recognized and appreciated annual fashion extravaganza by Lemark Institute of Art, lived to its reputation for the 14th consecutive year as nearly 150 student designers from the renowned institute presented exquisite designer wear and jewellery over the weekend at St. Andrews Auditorium , Bandra . 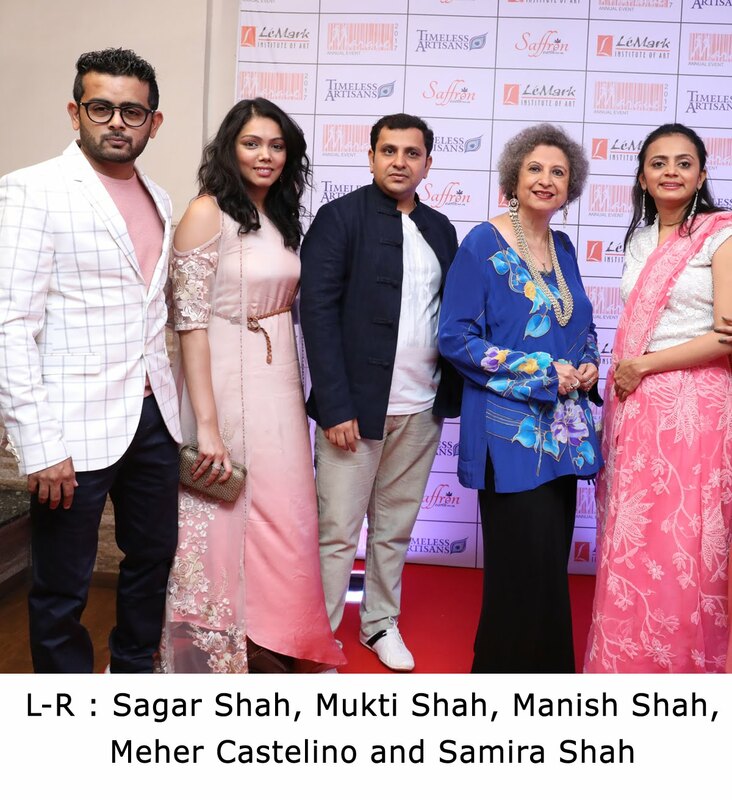 Taking centrestage sporting their exclusive creations were television actors Nandish Sandhu and Eijaz Khan and top models Candice Pinto , Alesia Raut , Iris Maityhah , Srushti Rana , Gurleen Grewal and Anita Kumar among many others . This year the students drew their inspiration from nature and "Ballad of Nature " was the theme for the evening . Manish Shah and Sagar Shah , directors of Lemark Institute of Art did the honours for the winning students along with fashion writer and critic, Meher Castelino and Indrani Jadhwani , Malini Agarwal , Roopali Golecha and other industry experts. LéMark institute of Art values the creative soul of each artist and believes in the need to nurture and groom young talent to enable them to make a mark in the ever evolving world of Fashion. With distinct focus on quality education, LéMark has carved a niche for themselves placing them among the leading premier fashion designing institutes in India. Since inception in the year 2002, today LéMark has expanded to 5 centres spread across Mumbai. LéMark seamlessly integrates class room theory teachings with on-site practical experiential learning for students to get a holistic picture of each subject. With 15 years of experience in the field of fashion education, LéMark is a renowned name in the industry circles with big fashion houses placing their trust on the brand. The institute's flagship event "Marque" has received enormous popularity, attracting great talent and prominent names from the industry. The event provides students a unique platform to show case their creation to the fashion aficionados of the country thus opening plethora of opportunities. No Comment to " Nature in fashion at MARQUE '2017 "